You probably spend way more time here than you’d like, so why not make it a little bit more enjoyable? Fahy Kitchens can help you create a custom laundry room that can make washing, drying and ironing seem less of a chore. We can help you choose custom cabinetry, wash sinks – even wall-mounted ironing boards – that maximize space and efficiency. 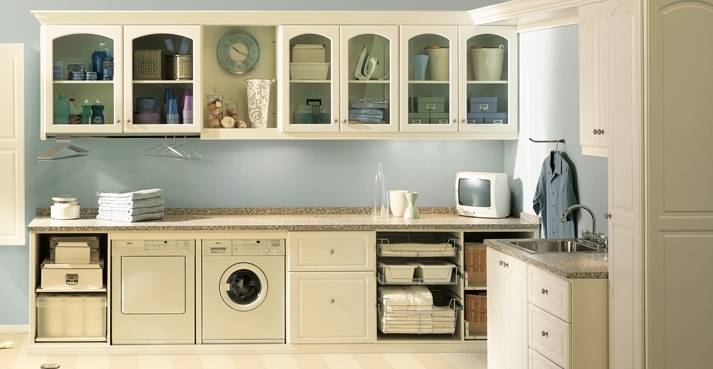 If you’re ready to customize your laundry room, contact Fahy Kitchens today to learn how we can assist you! A beautiful fireplace is the embodiment of hearth and home, and you can create a custom mantelpiece that perfectly blends with your environment when you choose Fahy Kitchens to assist you. Today’s open floor plans mean that many times, your kitchen may be a part of your living room. 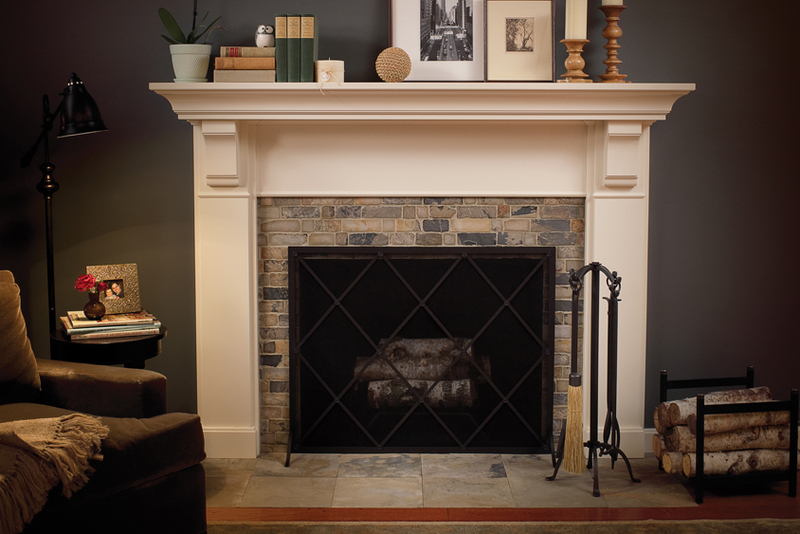 We can help tie your rooms together seamlessly with a custom mantel from Dura Supreme cabinetry. You’ll be able to choose from three unique design styles available in a number of attractive finishes. Or, create your own custom design. Either way, Fahy Kitchens’ team of design experts will assist you all the way – contact us today to learn more. The very idea of a mudroom calls to mind a haberdashery of coats hanging on wall hooks and muddy, grassy, dirty shoes strewn all over the floor. But your mudroom doesn’t have to be that way – transform it into an elegant foyer by choosing bench and locker cabinetry from Dura Supreme and Fahy Kitchens. When you work with Fahy Kitchens, we’ll show you how you can make over your mudroom and create a specialized area for family organization, beautifully. 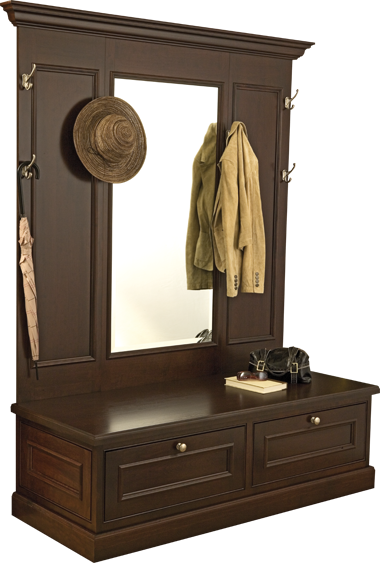 From full-length lockers to house your family’s outerwear to pullout drawers to conceal boots and shoes, we can help you find the best solution for your lifestyle. Contact us today to learn more. Nowadays, most of us have a number of home electronics like flat-screen televisions, DVD and Blu-Ray players, advanced stereo systems, gaming systems and any number of DVDs, CDs and video games. Obviously, with so many different items, your home entertainment center can easily become a mess! But, when you choose a custom built solution from Dura Supreme Cabinetry and Fahy Kitchens – not only will you organize your space, you’ll also beautify it. Created to complement your kitchen cabinetry and mantel, our custom entertainment centers will provide practicality – and elegance – now and for years to come. 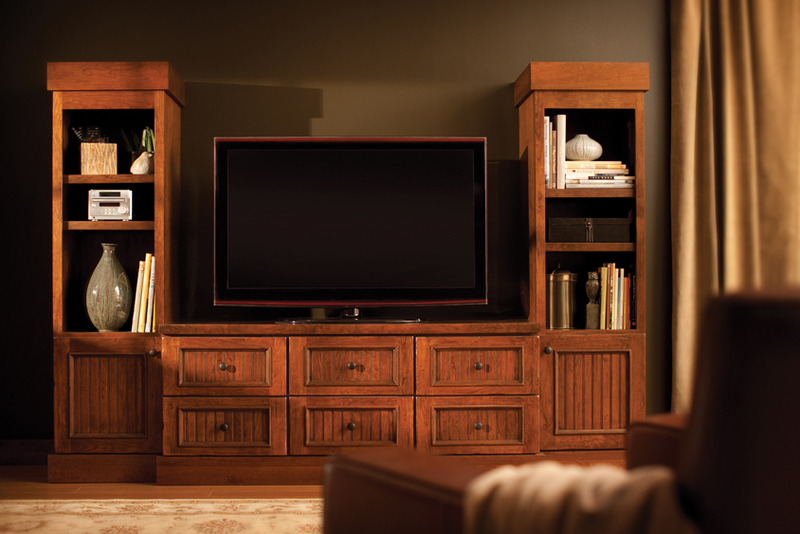 To find out how Fahy Kitchens can help you create the perfect home media center, contact us today.